Treasure Hunt Clues is a website that allows you to create your own treasure map for your child or to use as a game. When I first perused this site, I was a little confused, but then it became clear that it was a step-by-step adventure into learning. Their blog that goes along with the site has different ideas and suggestions for fun family activities, either for birthdays or just any day when you need some extra fun. It is mostly about arts and crafts, games and pastime. It has lots of fun ideas for spending quality time with kids away from the computer and TV. 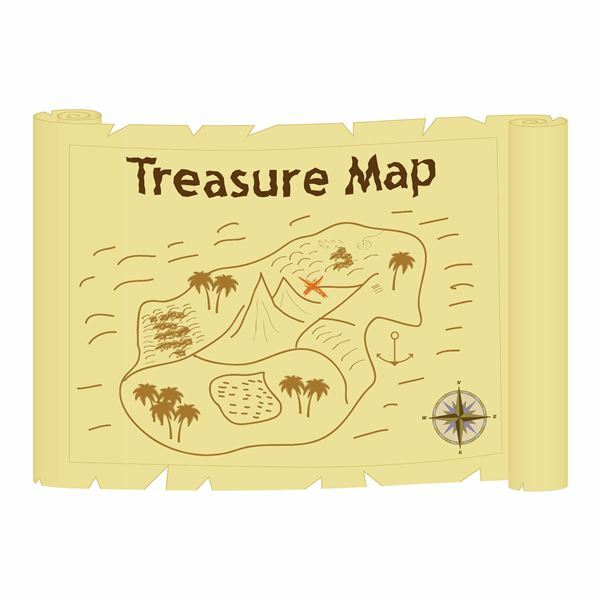 Children (and perhaps even adults) will find the treasure hunt game fun and adventurous as they follow clues on their treasure map and read educational facts on the way. However, at $9.99 a pop, many parents may not want to spring for a new map every week. You will also need a color printer where you can print out the map and puzzles. There are a variety of themes you can choose that range from holiday events, to themes involving pirates, dragons, birthday parties, dinosaurs and many others. Each theme contains beautiful graphics which can easily be downloaded to your home printer. When I created my game, I chose Amazing Bats, since I wanted to go with something that may be more educational. First, choose a theme for your game. You’ll be able to see a preview of your selection with all your pertinent information. Next, you select the treasure hunt theme you want your game to be. Selecting the age group will determine the difficulty of the puzzles. I chose 6-9 as an age group, as that is the age of the children I teach, and I am familiar with their abilities to solve puzzles. Next, you’ll pick up to six hiding locations around the house from their list. You’ll also choose the location of the treasure. After this, the server automatically selects puzzles from the database to fit your kids' age group so that the solution to each puzzle leads to the next hiding location. Now you can personalize the treasure note. The treasure note is the last note and it is hidden in the treasure location. This could be a personlized message to the child from their parents, or a last educational fact from a teacher. It is a good idea to put the children’s names in this personalized note. Every game also offers you the option to add a personal greeting. They are easily changed to meet your particular needs. Once you are familiar with the games and themes, you can work with your child to design an original game for him or her. The site offers you many suggestions for creating a treasure hunt game and also offers for purchase all the accessories you need to include this in a themed party. Once you decide on your theme and other details of your group, you go to the form and create your game. Games are $9.99 for each one. Once you purchase the game, you print out all the parts with very specific directions on how to put it together. So basically you are ready to go on your treasure hunt as soon as you put all the pieces together. For the ease and convenience, this game is worth the price for many parents to create a special game for a birthday or holiday. Teachers who have to buy many of their own supplies may have a harder time justifying the price. However, the site is currently offering coupons to teachers so you may be able to try it out in your classroom for free. You should take your time choosing prizes for your treasure game. You can leave anything from snacks, money, gift certificate, toy or game. Make the treasure chest find aligned to your theme. For example, if you are having a Valentine’s Day children’s party, you can have a large stuffed animal with heart chocolates as the grand prize treasure. For Valentine’s Day you can use hearts or cupids to put your clues. These games are only limited by your imagination! I think this game might work really well for a child's birthday party, rainy day activity or fun family day. You don't have to spend hours preparing and the game can be customized and printed quickly. If you're not sure about it, you can download a sample game first to see if it's something your kids would enjoy.